I’m really into podcasts. It started with Serial. I found the storytelling so compelling and engaging that I found myself randomly texting friends and family members to them to download it. My obsession turned me into a part-time salesperson for Serial and I wish I could have earned some sort of commission. But seriously, if you haven’t already, listen to Serial now. While I wait for the next season of Serial, I’ve found some other really great podcasts. I like to listen to them while I am driving, cooking, doing chores, or getting ready for the day. They are great fillers for those times when you are getting stuff done but still looking for a little entertainment. This ‘show for people who love to eat’ is full of interesting interviews, unique stories, and fun call-in questions. I’m always amazed by host Lynn Rosetto Casper’s deep knowledge of ingredients and cooking techniques when she answers calls from listeners. She’s encouraging and enthusiastic and makes listeners feel like they can conquer even the most daunting of kitchen tasks. I learn a lot from this show and I always enjoy checking out the recipes posted on the accompanying website. This is the newest addition to my regular podcast line-up, but it’s quickly becoming a favorite. Host Dan Pashman is funny, entertaining and tackles offbeat subjects. In one of my favorite episodes, Dan went to the Campbell’s Soup Test Kitchen and took his listeners along for the tour. Even if you don’t spend much time in the kitchen, you’ll enjoy this podcast that’s more about eating than cooking. 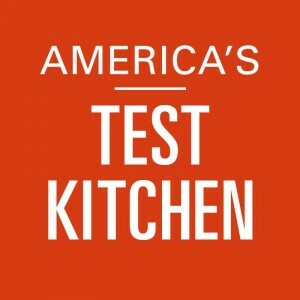 I’m a fan of everything America’s Test Kitchen produces and I especially love this podcast. Each show features an interview with a prominent figure in the food industry, a product review, and a review of a recipe from the test kitchen. Additionally, they will answer questions from readers who call in during the show. It’s entertaining, informative, and you’ll improve your cooking by simply listening. I was drawn to this podcast because I love Molly Weizenberg and her books A Homemade Life and Delancey. She hosts Spilled Milk with Matthew Amster-Burton and as they describe it, together they ‘combine food and comedy in a bowl and stir it up until it explodes.’ It’s silly, a little crazy, and a lot of fun. 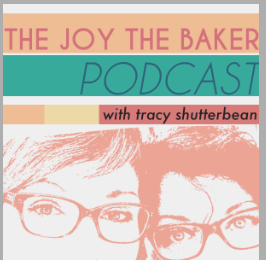 Joy is joined with Tracy Benjamin from Shutterbean and each week they talk about ‘totally important unimportant things.’ It’s less food-related than the other podcasts I’ve listed here, but it’s still a lot of fun to listen to. It’s candid and funny and you feel like you’re having a conversation with your best friends. This one has gotten me through some long drives. So, are you into podcasts? What are some of your favorites and when do you listen to them? Is Adnan guilty? Let’s chat. 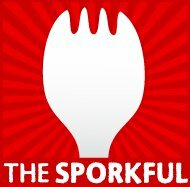 Thank you for your best-of food podcasts list! I am way behind the podcast times. Serial was the first I listened to. And yes, I think Adnan is guilty on the evidence provided. But I have "reasonable doubt" too. I binged-listened (I'm sure there is a term that I am unaware of) the week after Serial ended! 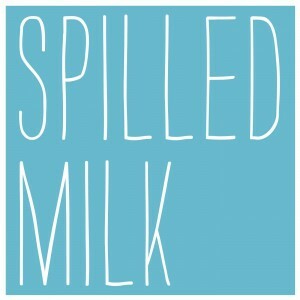 I look forward to listening to Spilled Milk. Sounds delicious. Anyway, I found you on FB KY Food Bloggers page and although I am an admin, I am also a slacker on that page. Welcome to KFB. I adore Gabrielle Hamilton and Blood, Bones & Butter, btw. Thanks for posting the Buttermilk Banana Bread recipe. I too gave fruit breads & biscuits to my customers (I had a 64-seat breakfast diner in the Florida Keys during the '90s) for the hours-long wait they endured for bacon , eggs and pancakes. It's the small things. I love that you are interested in writing a cookbook. I too was interviewed on Maggie Green's The Green Apron. My forthcoming Eating Salmon (Storey Publishing) will be released in 2016. You can find my FB page, Seafood Lady and if you are on Twitter, tweet me @maureencberry. Lastly, lovely blog, btw. I'm going to dig into your Baking Tips series. Thanks. Hi Maureen, thank you so much for the nice comment. It was actually your interview with Maggie Green that led me to find the Kentucky Food Bloggers page so I thank you for that too!! Podcasts are so fun. I learn a lot from them and get ideas for my blog. 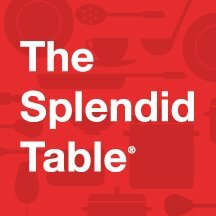 It's hard to pick a favorite, but I really enjoy the interviews that are done by The Splendid Table and America's Test Kitchen. 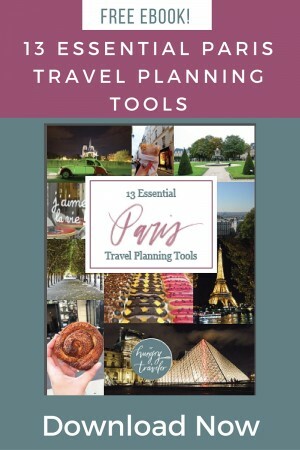 If you enjoy travel, Rick Steves has a great podcast, but I will warn you that listening will trigger a serious case of wanderlust and you may find yourself booking flights. Since you're a writer, you may also be interested in the Grammar Girl podcast. There are so many great ones!! Wow, running a breakfast diner in the Keys sounds awesome (and like a lot of hard work!). On which Key was your restaurant located? I've spent some time in Key Largo, Islamorada, and in Key West. The Keys are so unique and charming, not to mention beautiful. Congratulations on your book, that is very exciting. 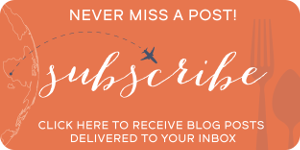 I've liked your page and subscribed to your email list so I'm looking forward to following you! Hi Jordan, good morning! You remind me of a younger version of myself. I have racked up some serious flight mileage over the years. The Wooden Spoon was (and still is) in Marathon. I spent 10 amazing years there. And yes, it was incredibly hard work. As you can imagine, most people don't live there to work hard. I did more than my share of washing pots and pans. My memoir (a WIP) is about that time and much more, but I won't get into it here. I too love The Splendid Table and what writer doesn't love Grammar Girl? I didn't know she had a podcast, too. I think I might need a podcast, too. Hmm, so much to do in the age of aspiring writer. Which reminds me, if you ever need help, advice, or want to vent about the cookbook process, I'm your woman. I am the queen of learning one baby step at a time. Thanks for the follow. Great to connect on Twitter too. I'm off to bake for another book I'm working on. Thanks for the tip on rolling out the pie dough. As I mentioned before-it's the little things.